It's a match made in heaven: Deadline reported on Monday that Ava DuVernay will direct The Battle Of Versailles for HBO Films, a fashion film about the legendary 1973 fashion show held at the most lavish palace on earth. The show pitted French and American designers against one another. The Americans won the battle against all odds, and with their victory, broke racial barriers, since eleven of the 30 winning models were African American. The Selma director will helm the project based on the 2015 book about the show of the same name from Robin Givhan. The Battle Of Versailles was a monumental moment in fashion history, putting black designers and models on the global map. Originally intended as a fundraiser to restore the gorgeous French palace, on the night of November 28, 1973, five of the most renowned French designers — Yves Saint Laurent, Pierre Cardin, Emanuel Ungaro, Christian Dior, and Hubert de Givenchy — were up against five American designers — Oscar de la Renta, Bill Blass, Anne Klein, Halston, and Stephen Burrows, one of the first successful mainstream black designers in America. Of the 36 American models that walked the most royal catwalk ever, eleven were black — more than 30 percent, an unprecedented representation. Once all the decisions had been made, it turned out that the Versailles runway would host one of the largest contingents of African American models ever to walk in a major, multiracial fashion show — a show that did not use them as a gimmick, an overt aesthetic statement or a political flourish. In 2014, only 119 of 611 covers of major fashion magazines featured models of color. According to Jezebel, an overwhelming majority (78.69 percent, to be precise) ofmodels walking in New York Fashion Week this time last year were white. And of the 260 shows appearing at Lincoln Center this past week, only three featured African-American designers. This whitewashing of the fashion industry is likely another reason that DuVernay was tapped for the project; Hollywood too has been damned and criticized for its overwhelming whiteness for years now, but the 2015-2016 awards season was the final strike. #OscarsSoWhite emerged from the fact that the 2016 Academy Awards were the whitest since... 2015, which in turn was the whitest Oscars in 17 years. Among the snubs of people of color was the glaring omission of Straight Outta Compton, its only two nominees, shamefully, being the two white screenwriters. And one of the most memorable and striking snubs of 2015 was DuVernay herself, who somehow was not nominated for Best Director though her film Selma was among the Best Picture nominees. In response to the lack of recognition from the Academy, DuVernay offered a solemn and sobering message: "There has been no precedent for a black woman to be nominated for best director, so why was it going to change with me?," calling attention to the invisibility of black actors, directors, and artists among those Hollywood chooses to honor. 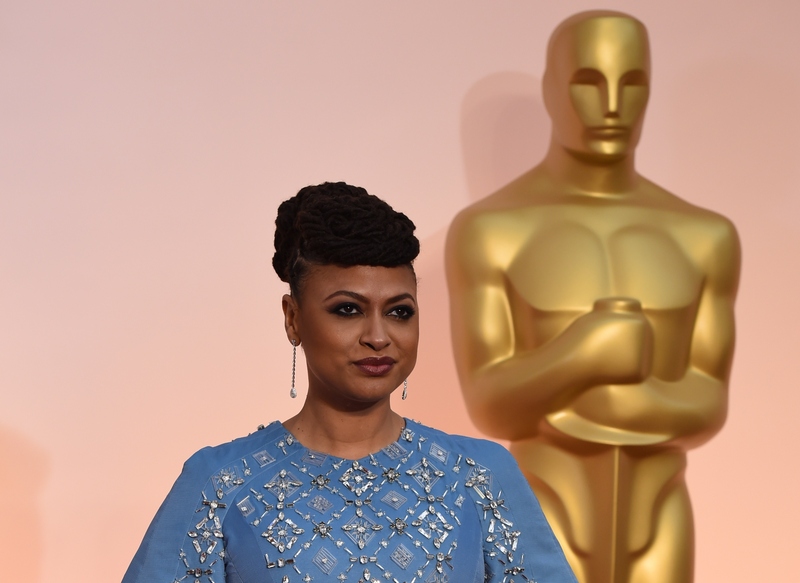 DuVernay has been a particularly strong voice on the "inclusion problem" in Hollywood. In fact, she proposed that the word "diversity" be ousted from the conversation at a luncheon held by her production company Array along with IndieGoGo at this year's Sundance Film Festival. "I feel [diversity] is a medicinal word that has no emotional resonance, and this is a really emotional issue," the director told The New York Times. "It’s emotional for artists who are women and people of color to have less value placed on our worldview." Needless to say the film is in good hands with DuVernay, who will tell a story about a historic moment in the racial history of fashion.